Mark Leslie takes a caper with dramatic ghosts in Hereinafter Referred to as The Ghost. 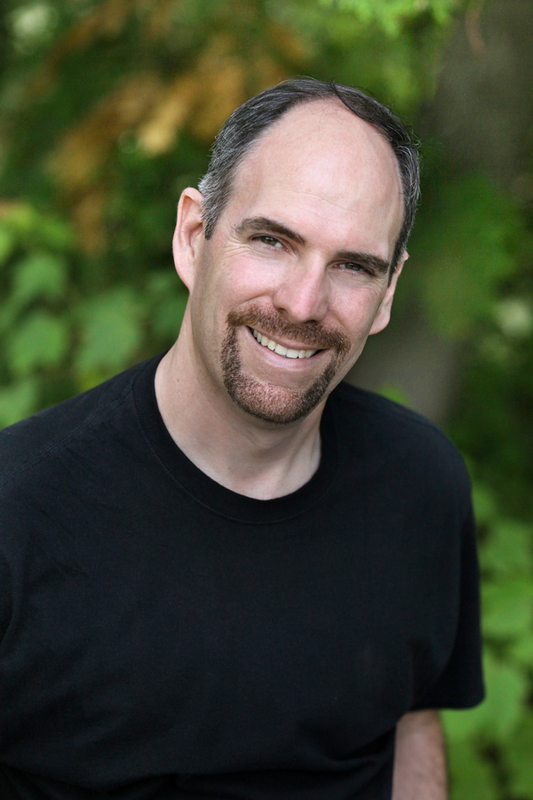 Today, I interview Mark Leslie, the first of four Ontario authors in Tesseracts 17, and a ghost hunter of a sort. 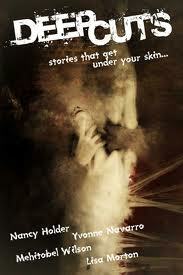 CA: Hereinafter Referred to as the Ghost is of a very popular trope; ghost stories. In fact, we could have had a full anthology of just ghost and zombie tales, so choosing one of quite a few good ghost stories was a bit of a feat. While your tale is of a haunting, it’s jaunty and fun. Why did you choose such a well worn subject to pursue? Though I have always written horror fiction, I rarely have ventured into what might be considered the standard tropes of the genre. I have avoided writing stories of vampires, ghosts and zombies and other standard and traditional “monsters” that grace horror fiction. But when I have drawn upon then, I’ve tried to approach the story from what feels like a unique perspective. For example, the first successful “haunted house” story I had published was called “Requiem” and was about a man who collected haunted artifacts. The story explores what might happen if a bunch of different ghosts were thrust together and forced into the same space. Sure, it was about ghosts, but it explored a “what if” that intrigued me. In this case, the idea was whether or not ghosts could be territorial in nature. In a tale I co-authored with John Strickland called “Til Death Do Us Part?” we explored what might happen if a married couple who constantly fought continued to fight and bicker in the afterlife, and what it might be like for their only son who, believing that his quarreling parents had finally come to an end not only witnesses their postmortem bickering, but gets drawn into it, yet again. It’s a very dark humor treatment of the ghost trope. For “Hereinafter Referred to as the Ghost” I took a similar exploration. I imagined an afterlife in which there are those who “live” their afterlife in quiet desperation, and others who seek more, who want their death to be something larger than they are—those are the dead who become “actors” and work at playing legendary ghostly roles. I thought it would be fun to look at the concept of a well-known haunted place, such as the Museum of Nature in Ottawa, or the London Tower, and explore some of the behind the scenes elements, with a somewhat tongue-in-cheek look at a struggling actor coming to terms with the loss of his long-held skills and abilities to properly perform the roles he seeks to play. CA: The story touches on drama, and theater cannot be mentioned without invoking the Bard. While you didn’t bring in Shakespeare outright, how involved was he with your vision for this story? Shakespeare was at the forefront of my mind when I was working through this tale. When you think of Hamlet, you might consider the thrill, for an actor, to be cast in the legendary role, or of the countless various actors over the centuries who have portrayed the prince in various manners and interpretations on both stage on screen.From Laurence Olivier and Peter O’Toole to Kenneth Branagh, Mel Gibson and Ethan Hawke, so many different actors have played this role as well as many other classic Shakespearean roles, each bringing something unique and different to that. I imagined the dead auditioning to play legendary and classic ghosts in the same manner that actors might audition to do stage runs of Shakespearean plays, and thus the conflict between my protagonist, Patrick, and the surly “casting director” Snyder. When I was thinking about actors and their desire to seek out coveted roles—after all, it’s much more prestigious to play the role of Hamlet than to be Horatio or, even worse, a role like Barnardo, one of the sentinels who encounter the ghost of Hamlet’s father in the opening scene of Hamlet. I took the idea of the different roles actors aspire to and thought about what happened when an actor aged. How sometimes the actor could play the “leading man” roles, and how as time went on, he might be relegated to supporting role material. You see the same thing with news anchors and in sporting professions. Great figures that we admire grow old, drift off into the sunset while we seek out younger, fresher ones to take their place. I tried to imagine how the same thing might happen for spirits playing the roles of various legendary ghosts around the world. I drew upon the lyrics from one of my favourite Rush songs entitled “Losing It” that explores these themes with both a writer and a dancer, and how, as they grow old the precious moments, the echoes of old applause and everything they had built could slowly slip through their old wrinkled fingers, and I had some fun with it as Patrick faced those same things. CA: Do you believe that ghosts do exist and if so do you think they have a lasting consciousness or are just after-images, an imprint of one’s life? Have you ever experienced an apparition? I do believe that ghosts exist. As Hamlet expressed to his dear friend Horatio, there are more things in heaven and earth than are dreamt of in our philosophies. I’ve never seen a ghost, and, as I have explored in a few different stories that I have written, I believe that ghosts can be both a lasting consciousness stuck down here on earth, rather than being fully and properly released into the ether of the afterlife, but that they can also be imprints left in the universe around us, echoes of things that have happened. In my short story “Spirits” for example, I explored the concept of people leaving their spirits behind in a place they were somehow tied to, even without dying; that a place or moment in time or experience can have such a lasting and important impression that the spirit of a person, of a moment, of an experience, can echo in that spot for eternity. No, I can’t say that I have ever experienced any sort of apparition; at least nothing that I couldn’t attribute to being over-tired or having an over-active imagination. And that’s a good thing. Because I’m such a chicken that if I did see a ghost, I’d likely pass out or have a heart attack. CA: Will we see any more escapades in this style of ghostly realm? Definitely. I have been kicking around another speculative story about ghosts and the side-effects for those who attempt to control or contain poltergeists. It is, in many ways, a tongue-in-cheek exploration, like “Hereinafter” and “Requiem”—except, though it will contain a slight bit of dark humor, it’ll be darker and a bit creepier in delivery, much like a traditional ghost story. CA: What else do you have in the works and what themes are you exploring? I’m continuing to compile non-fiction paranormal explorations. My next book in that series of “stories told as true (a term that John Robert Columbo beautifully described this style of book) coming from Dundurn in 2014 will be called TOME OF TERROR and will focus on haunted bookstores and libraries around the world. My forthcoming novel from Atomic Fez takes a look at how a teenager might deal with a bizarre death curse, where everybody he gets close to dies some sort of tragic horrific death. That book, ironically, draws a great deal from Hamlet as well as from several texts I admire from several different science fiction and horror writers. Once I finish rolling out this draft I’ll be using reader feedback to do another re-write before either sending it to a publisher or commissioning an editor to help me revise the final version. Mark Leslie fell in love with storytelling, and, in particular the brand of Twilight Zone style tales he often writes, at an early age, and has been writing pretty much since the first day he discovered the magic of stringing one word after another to create a narrative. 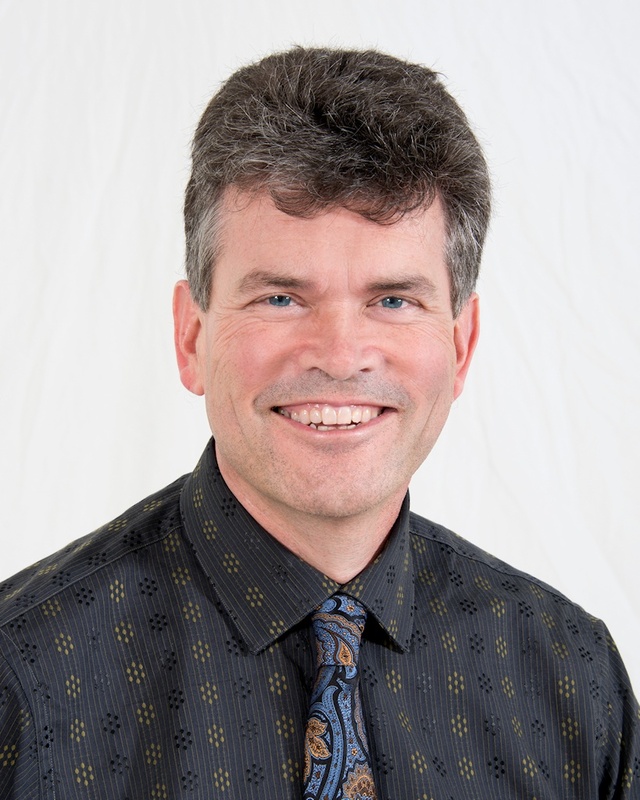 The editor of the anthologies North of Infinity II, Campus Chills and Tesseracts Sixteen, Mark has also produced a series of non-fiction paranormal explorations in the books Haunted Hamilton and Spooky Sudbury from Dundurn Press, with more books in that vein in the pipeline. Mark’s One Hand Screaming, published in 2004, contains a selection of previously published short fiction and poetry, and his first novel, I, Death, is slated for publication in late 2014. David Jón Fuller joins me from Manitoba, for another Tesseracts 17 interview. CA: “Sin A Squay” is a tale of overcoming monsters. We have heard the horror of residential schools and new nightmares seem to be unearthed every day. What drew you to putting this element into your story? It’s a national horror that was made worse by decades of denial despite more and more residential school survivors coming forward. Despite some indications that people allowed or even wanted their children to attend the schools in the early part of their existence, they just became an institution of systemic abuse and earned their appellation of an instrument of genocide. I wanted to explore this in a context of what that does to people over time – how even escaping them can have a cost, and that the oppression that was perpetrated against the children in the schools – treating them as less than human, and the endemic abuse that comes to light more and more – can leave a lasting mark. But I also wanted to explore how those horrors could be confronted and overcome. I had doubts whether this was a subject I should even write about, no matter how much research I did – I worried that it wasn’t something that, as a white person, I had a right to write about. But I felt without trying to address it in some way through my fiction, I would just be ignoring it, and adding to the silence, in a sense. Whereas I think anyone who learns about what the residential schools system did to so many First Nations people for so long would be within their rights to condemn it as horrific. CA: Have you seen or experienced aspects of residential schools or your own childhood traumas that you used to draw on for this story? No – nothing on the scale of something like this. Tough times for me as a kid meant dealing with the occasional bully or being the “new kid” at school. Definitely not a systemic oppression, or even life-scarring single event. And like the majority of white people in Canada, I grew up privileged to live with many doors open to me as a default. I relied a lot on research to create the characters and the background for this story. David Jón Fuller explores the horrors of residential schools in Sin A Squay. CA: You have two different monsters in your tale; the beasts that prowl the mythic landscape and residential schools. Why did you feel this story worked better with the mythic or horrific element? Partly because I think the fear of certain monsters says something about the culture in which they are feared. Some monsters have embodied fears of our animalistic natures, and of the “wilderness” – and I think that speaks to a Western European (particularly continental) fear of predators. Hand-in-hand with that went the European colonialist attitude that white people were “civilized” and everyone else was to some degree “savage” (read: wild). I wanted to turn that around a bit, and look at how that attitude itself – of seeing certain people as “less than human,” which is certainly what the residential schools embodied: the view that “Indians” were lesser people, savage, or inferior – was monstrous. I do tend to think that in mainstream pop culture these days, certain monsters are “othered.” Vampires are currently glorified – embodying, I think, our fear of old age, since the “eternal youth” trope seems played up nowadays as opposed to the “foreign devil will seduce our women” theme that ran through Dracula. Werewolves, on the other hand, are frequently the lackeys and/or cannon fodder if they appear alongside other creatures in a given show, or they are stuck in an endless retread of savage/animalistic/bestial archetypes. This isn’t as true in a lot of urban fantasy fiction, but it seems to be the gear they’re stuck in in movies and TV. And I hate that! Also, considering the way the characters’ relationships change in the story, I wanted to explore whether what one culture sees as “monstrous” or less than human, might actually be a source of empowerment, and how an oppressor’s sense of invulnerability might actually become a weakness. Those things being said — no matter how terrifying I might make the mythic monsters, for me, the more I learned about the residential schools the more stunned I was that this had gone on for so long. Much of what I put in the story pales in comparison to what actually went on in many of the schools. CA: Often survival comes at great cost. Do you feel your main character has only survived through her years of escape, or is it just that life can bring ghosts back to haunt you even if you have triumphed in the past? I think Marion gained a lot in her initial escape from the residential school, but while her body got free, a part of her was still trapped there, and in the abuse she experienced there. She was not able to bring who she became as an adult to bear on those old fears, and fully put them to rest, without confronting someone or something from her days there. The opportunity to face down one’s oppressor, and have that oppression acknowledged as such, is something that has been denied to generations of residential school survivors. Canadians are still denying a lot of what went on, despite mounting evidence, and that kind of brushing it under the carpet just perpetuates the injustice of it, in my opinion. I thought that perhaps by putting Marion in a situation where she was forced to face those old horrors, she might be able to hold them back, or even triumph over them. CA: What other pieces are you working on right now and what are you exploring within those tales? Mostly working outside my comfort zone and doing a ton of research. I’m trying to work on not just including non-white, non-male perspectives in my fiction, but on making them central. After submitting “Sin A Squay” to Tesseracts, I started working on other stories in the same world. 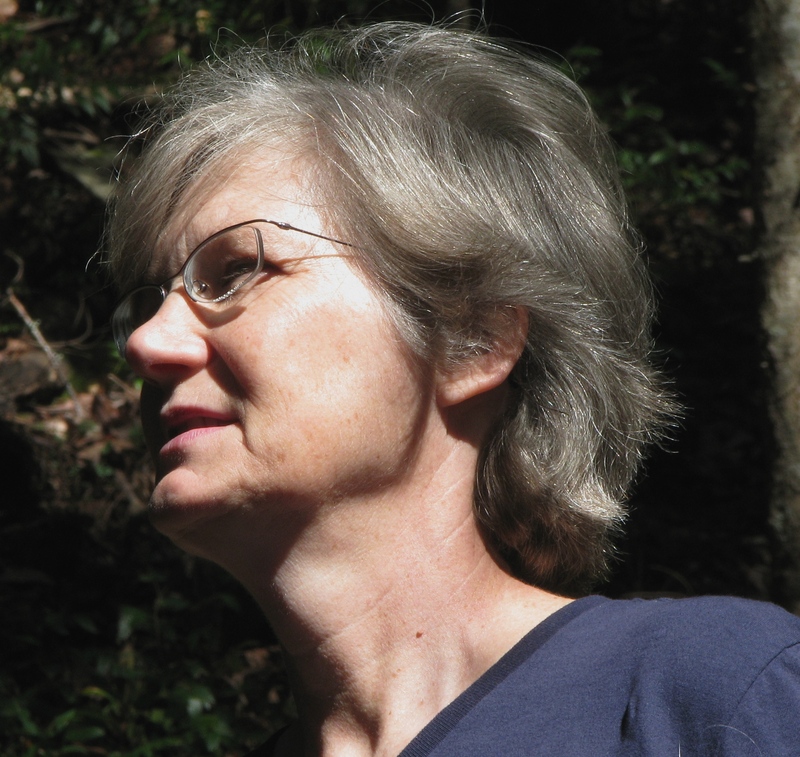 One of them, “No More Good Indian,” is about Marion’s escape from the residential school, and it placed second in the Robyn Herrington Memorial Speculative Fiction Short Story Contest. I worked backwards from there to write a story about Marion’s grandfather, and how his experience of shell-shock as a First World War veteran had disturbing parallels with the post-traumatic stress his children experienced after residential school – and on how this could be if not healed, at least helped, through familial bonds, tradition and shared experience. That story, “A Deeper Echo,” was accepted into the anthology Long Hidden: Speculative Fiction from the Margins of History, due out next year. I’ve also been delving into human evolution, megafauna mass extinctions and prehistoric Canada – it’s fascinating to see how much our knowledge has grown over recent decades, and how this is changing the way we look at the past. When I’m finished writing a few other short stories before the end of the year, I’m going to take a hard look at a novel manuscript I was letting lie “fallow” and then apply what I’ve learned this year to tune it up and start submitting it. David Jón Fuller was born and raised in Winnipeg, Manitoba, where he now lives, and has also lived in Edmonton, Alberta. He earned an honors degree in theater at the University of Winnipeg and studied Icelandic language and literature for two years at the University of Iceland in Reykjavík. His short fiction has been published in Tesseracts 17, In Places Between, The Harrow and in the upcoming Long Hidden: Speculative Fiction From the Margins of History. His short story “No More Good Indian” took second place in the 2013 Robyn Herrington Memorial Speculative Fiction Short Story Contest. 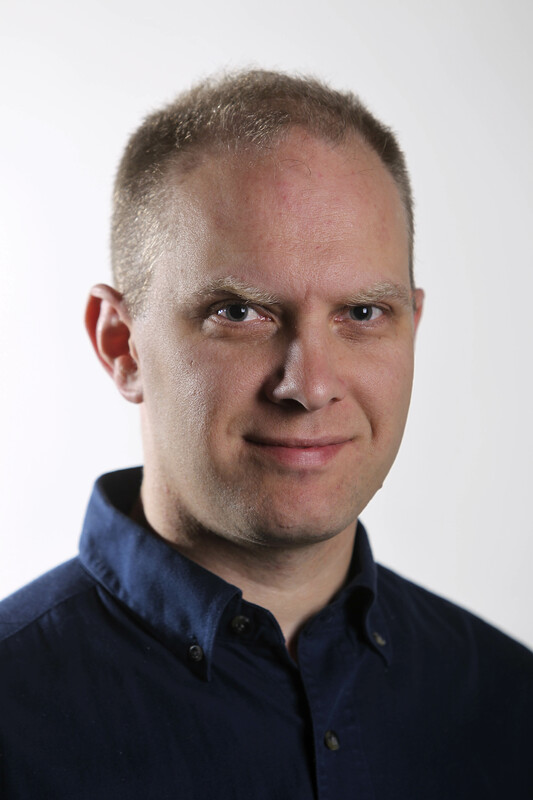 He currently works as a copy editor for the Winnipeg Free Press, and as time allows he blogs at www.davidjonfuller.com. Ed Willett is author of more than 40 books of fiction and nonfiction. Read his story in Tesseracts 17. 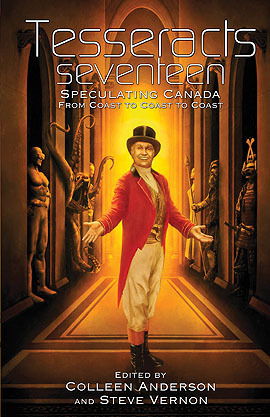 Ed Willett is our only Saskatchewan author in Tesseracts 17: Speculating Canada from Coast to Coast to Coast. I would say this puts us nearly halfway through Canada but once I hit the Atlantic provinces for interviews I’ll come back across the northern parts of Canada. CA: “Path of Souls” is a beautifully rendered world, told by an outsider who makes it home. But that home is in some ways a gilded cage. What was the most important aspect of this tale for you? For me the heart of the story is the decision by one individual to take responsibility: to do what must be done, what is the right thing to do, despite the personal consequences. That is, I think, the only definition of heroism that makes sense to me. Whether that decision makes sense to someone outside that individual’s personal mindset is another matter, of course. The actions of the main character might be seen as foolish in the extreme: she essentially throws away her previous life for many long years of service to an alien religion. But she is convinced that what she is doing is what is right, and that doing what is right is more important than her own personal wants and desires. Over and over in my fiction I find myself returning to the theme of individual responsibility. In so much of the world, especially in the realm of politics, we pretend as if people are defined by a few simple characteristics: gender, skin color, income, place of residence. “Can such-and-such a party’s policies resonate with voters-of-a-particular-ethnic group?”, etc. But none of us are defined by the various groups into which we fall—not entirely. Each of us is an individual. We build our lives from a series of individual decisions, and while the easiest path to follow is always that most often taken by those with whom we associate, we have the power, the free will, to break from that path, to take “the road less travelled,” as Robert Frost memorably put it. And that moment, when an individual truly acts as an individual and separates him or herself from the herd, especially if that moment arises out of a powerful moral sense, is a moment that greatly interests me as a writer. The title of the piece is “Path of Souls,” but it’s really about the path taken by a single soul: an individual who makes a difficult decision to do what she has become absolutely convinced is the right thing to do, despite the cost to herself. CA: In one sense it’s religious, or spiritual, but there is a dark side that the outsider discovers. Do you think people see the inherent pitfalls in their own faiths? Religious belief is a powerful thing, as we know from our own world, where every day religious fanatics blow themselves and others up in suicide attacks, murder sleeping students in their beds for the sin of getting a western education, terrorize shopping malls, and on and on. They are, to carry on my answer to the previous question, individuals who have made a decision to abandon all further individuality in the service of what they see as a greater cause. It’s a decision that seems almost incomprehensible to those of us who do not share their convictions. But within their own minds, they are doing what is right and holy, what must be done to make the world a better place—although their version of a better place would be a nightmare to those of us who do not share their belief. By my previous definition, they are heroes: not to us, not at all, but certainly to themselves. Religious belief seems to be hard wired into humans (and, in my story, into aliens as well). It can be a powerful force for good and beauty, and a powerful force for evil and destruction. Those at the extremes of religious belief do not, I think, see any inherent pitfalls. When you have given over your individual responsibility to orders that you believe are coming directly from God, there’s very little room for doubt. There are, of course, millions of believers who do have room in their beliefs for doubt and questioning. Some religious belief systems are more open to internal questioning than others, and those, I think, are at less risk of turning to the dark side (okay, that reference is from Star Wars, which is perhaps a step down from Robert Frost, but still, it fits!). So, do “people see the inherent pitfalls in their own faiths?” Some do, some don’t. Once again, everything comes down to the individual. CA: This is also a story of reflection, a journey in and of itself. Many spiritual paths are just that, journeys of discovery. Is this a theme you have explored before? I think all characters in my stories are on journeys of discovery, because characters who remain unchanged by the events of the story are boring. So it’s really a theme I explore over and over, in pretty much everything I write. CA: Will we be seeing other tales on this particular world, or are you moving on to new worlds? It’s also a story I’m fond of because it’s a bit of a tribute to a book I absolutely loved as a young science fiction reader: Andre Norton’s Moon of Three Rings. That idea of humans coming to a world they think they understand and falling into trouble because they don’t really understand it at all was something I wanted to use, and I also wanted to capture the deep sense of strangeness and wonder Norton’s book woke in me when I was 12 or so. I think maybe I manage it, at least a little. I hope readers think so, too. Edward Willett is the author of more than forty books of fiction and non-fiction for children, young adults and adults. Born in Silver City, New Mexico, he moved to Canada with his parents from Texas when he was eight and grew up in Weyburn, Saskatchewan, where he began his career as a newspaper reporter, becoming news editor before moving to Regina as communications officer for the then-fledgling Saskatchewan Science Centre. For the past 20 years he’s been a fulltime freelance writer. 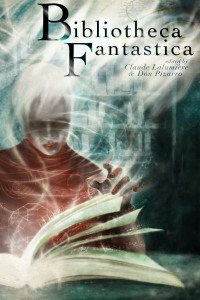 Ed won the Aurora Award for Best Long-Form Work in English in 2009 for his science fiction novel Marseguro (DAW Books). His newest book is Right to Know (Bundoran Press). November will see the release of Masks, the first book the Masks of Aygrima fantasy trilogy for DAW Books, written under the pseudonym E.C. Blake, and in the spring, Coteau Books in Regina will release Song of the Sword, first book in a five-book YA modern-day fantasy series collectively called The Shards of Excalibur, with subsequent books to appear at six-month intervals. Shadows, the second book in the Masks of Aygrima, will be out next summer, along with an as-yet untitled sequel to Right to Know. In addition to writing, Ed is a professional actor and singer. He continues to live in Regina with his wife, Margaret Anne, their daughter, Alice, and their cat, Shadowpaw. Ed is online at www.edwardwillett.com, on Twitter @ewillett, and can also be found on Facebook. CA: “Graveyard Shift” is about a moral dilemma. Why did you choose to explore it through the aspects Asian tradition? I knew I wanted to write about the soul-crushing debt that post-secondary students are incurring now and how that may worsen in the future. By adding in a cultural challenge, I was able to increase the struggle of the main character, Ryan, and deepen the story. Like many young Canadians, 23-year-old Ryan precariously straddles two worlds. He’s a child of mainstream urban Canada, with all its peer pressure, capitalism, and emphasis on a unique sense of self. And he was raised in a traditional Asian multigenerational household, with its sometimes conflicting components: an unyielding respect for elders, a severe work ethic, and a unified sense of family. Ryan’s ability to choose which of the two culture’s many elements to apply to his growing set of problems is essential to the story. CA: You story deals with a near and very possible future where the effects of automation and a global village are wiping out the need for certain jobs. In some ways, it’s what happened when the Industrial Revolution happened. Do you think we’re going to go through more of these industrial bumps? Is there a chance for people to be assimilated into new jobs or will we end up with a leisure society? Holly Schofield’s story is about straddling cultures and changes in the world. History is full of speed bumps. I don’t see that changing. Our current challenges include technology’s effect on jobs, the uneven division of wealth, and the increasing need for life-long learning. In this story, Ryan has chosen an educational path that is perhaps no longer appropriate and needs to adjust his expectations accordingly—a familiar feeling to anyone applying for jobs in our post-2008 world. The line between work and leisure may well blur as technology advances. Even ten years ago, it was almost impossible to imagine a job in the social media field, yet now that’s a burgeoning employment sector. The key, in both real life and in the story, is flexibility. Does Ryan have enough transferable job skills to cope? Readers will have to learn for themselves. CA: You mentioned that you hope to save the world through science fiction. Whether serious or not about that statement, do you believe that writing SF can make a difference? I’m certainly hoping it can. I know that reading SF has made a difference in how I perceive the world and where our civilization is headed. It’s proven that reading fiction, any fiction, measurably enhances our abilities to empathize with other people. Levels of emotional engagement rise in the long-term, compared to non-fiction readers. Something not yet proven, but I tend to believe, is that SF readers have even more of that engagement and, even better, an understanding of the real potential of humankind. In my own case, watching the original Star Trek on TV as a child–seeing that imaginary future world without poverty, where humans can satisfy their need to simply explore–gave me a “big picture” view of how wonderful our civilization can be. Thousands of SF stories later, I’m sure I do see the world in a different way than a reader who has never ventured outside of mainstream fiction. I would like to impart some of that optimism in my own fiction. CA: What’s your next project? I tend to work on several stories at once. Soon-to-be-published stories involve Alberta petroglyphs, a wimpy superhero, and a garbage-collecting cyborg. Stories in progress feature a brain-augmented cat, a woman who mind-melds with eagles, and a castle built by a time traveller. Keep checking hollyschofield.wordpress.com (http://hollyschofield.wordpress.com/) for upcoming publications. 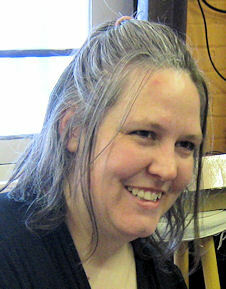 Holly Schofield has several publications in the online magazines, AE: The Canadian Science Fiction Review and Perihelion. Her work will soon appear in three anthologies: Tesseracts 17, Oomph: A Little Super Goes A Long Way, and The Future Embodied. She travels through time at the rate of one second per second, oscillating between the alternate realities of a prairie farmhouse and her writing cabin on the west coast. She plans to save the world with science fiction stories and home-grown heritage tomatoes. Rhonda is another of the Alberta authors, with her tale “Bedtime Story.” Tesseracts 17 is now availble in stores and through Amazon. CA: “Bedtime Story” captured the imagination of a child well, like Peter Pan did, but in a way it goes farther underground and into darkness. Do you think this is a story that could be told to children? I suppose it would depend on the child but for the most part I would say no. Parts of the story are pretty subtle and other parts rather dark. That being said my daughter would have loved this story when she was young, but I suspect she would be more the exception than the rule. CA: What element was the most important for you to explore in this tale and are you still exploring it? Rhonda Parrish’s “Bedtime Story” delicately balances darkness and the otherworld. CA: Fairy tales that go back centuries have heroes, or the little man who triumphs over greater odds. Whether it is a simple hobbit and a powerful ring, Jack and the Beanstalk or Harry Potter and Voldemort, it is the will or intelligence that perseveres. Your character is connected to just such a tale, yet she does not directly face those greater odds. Why did you choose to approach it from this angle? I feel bad because I’d love to have a deep philosophical or some sort of incredibly clever reason for choosing to approach this story from the angle I did, but the truth is, I felt that if I took a more direct route to tell the story, if I picked a different point of view, for example, then it would end up as a novel. At that point in time I didn’t want to write a novel, I wanted to write a short story, so I decided to tell it from Clara’s point of view. CA: What themes are you exploring right now and will we see Clara again? As for Clara… I’m not sure. I would love for you to see her again, I’m pretty fond of her, and the world she inhabits so I wouldn’t mind revisiting it. I guess we’ll just have to wait and see if the sandman decides to bring me any more nocturnal inspiration. Megan Fennell’s story “Bird Bones” talks about the monsters that live among us. Tesseracts 17 is now available. 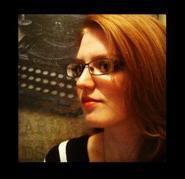 In continuing with the Tesseracts interviews, I have Megan Fennell, whose story “Bird Bones” is in the anthology. CA: Family is at the core of this piece. Have you explored what family means in other aspects of your writing? Absolutely. In most of what I write there will be at least some screen time given to the concept of families, either family by blood or family by choice. People do truly incredible things and make enormous sacrifices for family that they wouldn’t dream of doing for anyone else. Upon reflection, my stories tend to include a lot of sibling characters, albeit with varying degrees of oddity and functionality. This is probably a side effect of having possibly the best kid sister in the world and thus being intrigued by the nature in which the sibling dynamic can turn bizarre. CA: Do you think humans run the risk of the god complex by too much scientific tinkering or do you think there are restraints that keep us in check? There are absolutely restraints that keep us in check, which is why the first trick of writing a mad scientist character (at least in my experience) tends to be isolating them. You mentioned Dr. Frankenstein… Add to that list a few more of my favourite brilliant madmen: Dr. Moreau, Dr. Jekyll, Griffin from the Invisible Man, and you’ll notice that secrecy, isolation and working within limited means play a big part in what they were doing. None of these folks were exactly in line for a government grant. In ‘Bird Bones’, Feyton’s controversial experimentations in his day-job are plagued by protestors and review boards. It’s his secret side project where he can really go wild. I believe that the all-seeing public eye and our tendency to ask this very question will ensure that cutting-edge science never galavants too far ahead of morality. CA: What else are you working on these days and will we see other tales of transformation or escape? You’d better believe it! Along with shopping around my short stories and trying to find the illusive market interested in love stories about squid-like aliens, I’m presently in the honeymoon stage with a new YA novel. This typically consists of me wandering around in a smile-y daze like a lovestruck teenager, murmuring happily about these wonderful new people who’ve turned up in my head. I’ll get to the hard work soon enough and start grumbling about it as is good and proper, of course! But yes, the crux of that one will be the nature of being human and the relative weight of what you are versus who you are, so more variations on some of my favourite themes for sure. Megan Fennell was born in Victoria, BC, but has spent the majority of her life in a variety of Albertan cities and considers herself a creature of the prairies. Having disqualified herself from the great Calgary versus Edmonton debate by obtaining degrees at both the University of Calgary and the University of Alberta, she now lives with her two cats in Lethbridge, Alberta, drawing inspiration from the more rugged beauty of the Badlands. She has previously been published in OnSpec Magazine and the charity anthology Help: Twelve Tales of Healing. 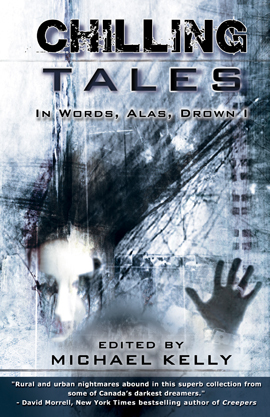 Chilling Tales 2, edited by Michael Kelly, is out this month from EDGE. Hi everyone, I was traveling in Europe and didn’t have time to do more blog posts. I’ll be posting more Tesseracts interviews in the next few weeks and the book is now available. Coming up next week on Wednesday, November 13, however, is an interview with the authors of Chilling Tales 2 at Bitten By Books. My story “Gingerbread People” is one of the selections and I would love to hear what people think of this, as I worked very long and hard at it. Available through Amazon. This is my favorite cover of all three. 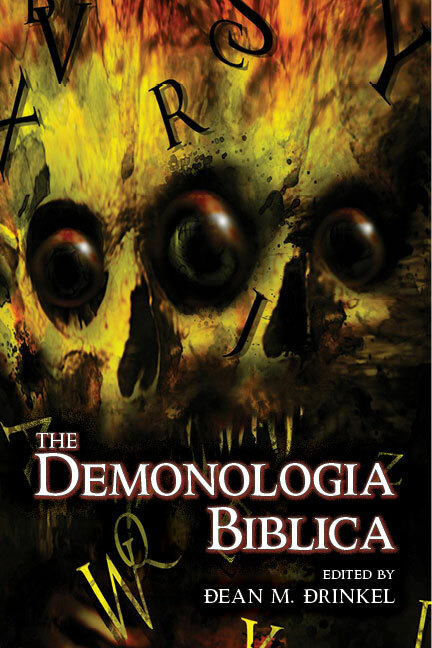 Other books in which I have stories, that you can find online are Demonologia Biblica, Bibliotheca Fantastica, Artifacts and Relics, Deep Cuts and ReadShortFiction.com, which is free online. The holiday season is coming up so what better way to expand the mind than with reading. The Book With No End, is in this anthology just out from Dagan Books.